Rivers and Roads: my favorite things giveaway. hello, hello! today is the first of many (i hope) in a new giveaway series | my favorite things. to start this series out, i am cohosting with chantel of a harvest of blessing to bring you a naptime diaries store credit for one free 8x10 print of your choice! i absolutely love love love the naptime diaries team and wish that i could sit down at a coffee shop for an afternoon to hang out with them. if you have never visited the naptime diaries shop, you are in for a treat. 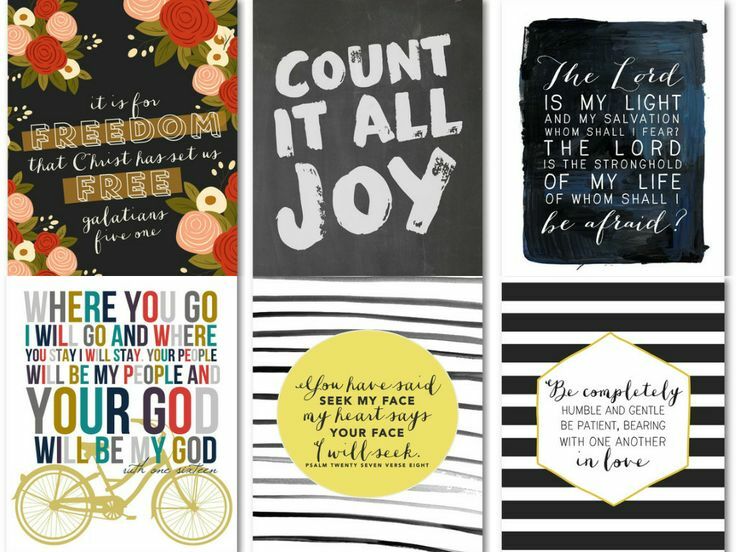 each print is filled with scripture to place in your homes and your hearts. this giveaway is sponsored by the following wonderful ladies: Chantel of A Harvest of Blessing, Rachel of Oh Simple Thoughts, Amy of Lovely Does It, Beth of Oak + Oats, Amy of Taking Steps Home, Christina of Sweet Lavender Bake Shoppe, Samantha of Elah Tree, and Shayla of Little Brave. if you would like to be one of the sponsors for the next MY FAVORITE THINGS GIVEAWAY, join the team! you can find more information by clicking here and for 15% off advertisement options use code MYFAVORITETHINGS at checkout! I would love the bicycle print! How beautiful! i love the "wait for the Lord" print! such a good reminder in a world where patience is rare! :) i love that y'all are doing this!! such a great idea!!!!!!!!!! Love, love, love Naptime Diaries Prints! Would love to get a large canvas one for our new apartment! I already own like a million of them! I like the never give up - I think that is my next one! I love the Lord is my Light and Salvation print! I would love to hang this in my home! I love the bless The Lord print, it's my favorite! And, if I'm ever blessed with a sweet baby boy- the "be strong and courageous deer" print will be the first thing I buy for the nursery! I love the Be Completely Humble and Gentle print! Yeah girl! This giveaway is awesome! My favorite quote is the one that states "do not give up". Definitely need that reminder this week as I'm struggling through final paper drafts!! I love these! Words to live by. This is awesome Meg! So glad I could be a part of it! i know, right?? and that is a pretty one! ooooh that's a good one! a great reminder, right? i need that on the daily. so true! you've got this, girl! good luck on finals! yay :) so glad you got to be a part of it! oh that is a good one! seriously, i can't pick a favorite. they are all so great. it seems to be a favorite for a lot of y'all! i am really really wanting the Galatians print...the one you got on canvas :) it's the one i keep coming back to. i LOVE the canvases. i want on as well :) and that print is an excellent choice! amen, friend. so so true. good choice! they are all so great! I love the Psalm 27 print - colors, font, everything. :-) And I love this giveaway! So fun! And you, sweet girl. :-) Miss you! oh that's a good one, too!! thanks so much for stopping by, jenna! that's a beauty...and such a good reminder. i love the stripes on that one!! Wow, between you and Beth, you two have some great giveaways going on! :) I have loved NTD for a long time and the Ecclesiastes 3:1 print is my current fave. the be completely humble and patient one is my favorite!